As many of you may know, we've been getting pretty creative with our Pointe Shoes here at Energetiks, and so far we've been happily giving away a pair of hand decorated shoes every now and then, but unfortunately not everyone who wanted a pair was lucky enough to win... which is why we're super excited to announce that for ONE WEEK ONLY, you can buy your very own unique, limited edition pair off our online store. After the week is up, the styles will no longer be available (but don't worry, the next week brings a new batch of limited edition styles!). ...You could almost say that the artwork has 'brought the shoes to life' ;) And, well... once again they've been getting up to all sorts of mischeif whilst waiting to go to their new homes!! ...Unfortunately they choose a dog beach, and had to frantically avoid being slobbered on by a curious and overly enthusiastic pug (named Oscar)!! Oh well! It was all worth it to watch the sun set! The Swan and her ducklings decided to be clever and stay on the jetty, away from the sand and Oscar! 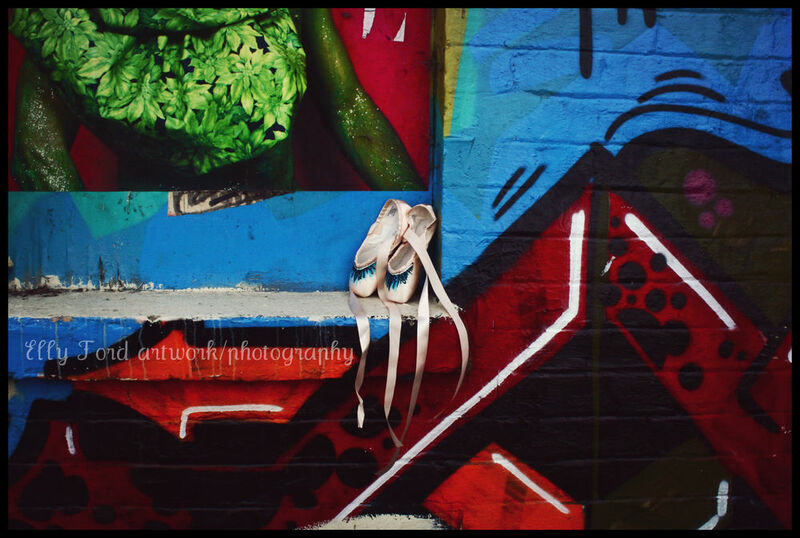 True to their nature, our little pointe shoes never failed to find a spotlight, and pose for a picture! Our abstract floral pair thought they had it in the bag! ...but they were beaten by the street art! This pair decided to try climbing a tree... ironically, for pointe shoes, they weren't that good at balancing! :D Good thing I was there to catch them! ...They had much better luck balancing on flatter, more solid objects! ...but their favourite part of all? Playing in all the lovely Autumn leaves!! :) What an adventure! It's here! 'Ballet Men' the Australian Ballet's mini-documentary!